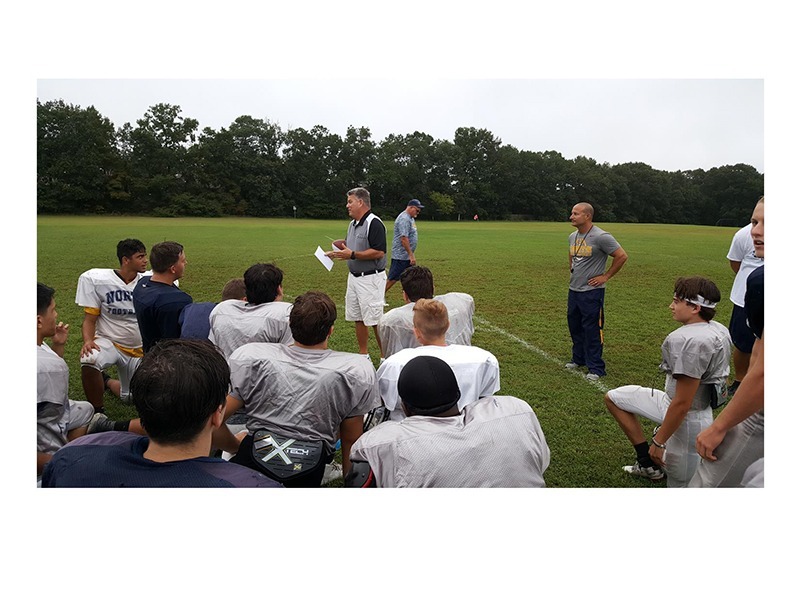 Sept. 12, 2018-- High School North football was named Team of the Week by Shore Sports Network following the team's thrilling 15-14 victory over Manalapan last week. 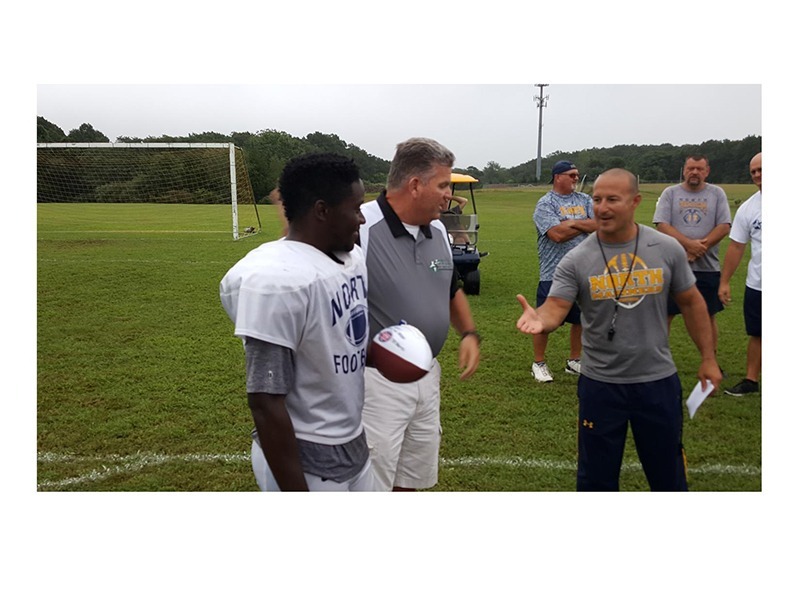 Kevin Williams of SSN stopped by the team's practice yesterday and awarded the game ball along with $500 in gift cards to Jersey Mike's. 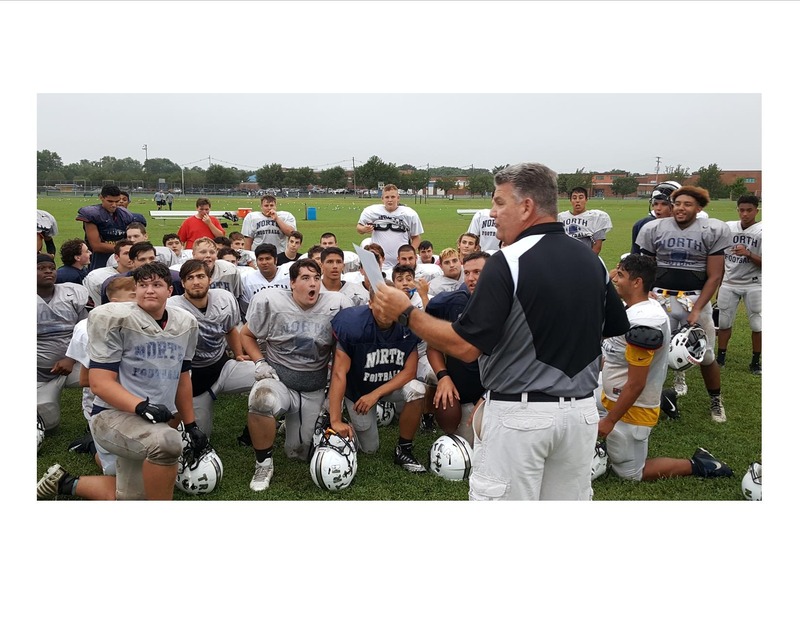 Congrats, HSN football! More photos below.